Palestine, 1990, Seventeen-year-old Isra prefers reading books to entertaining the suitors her father has chosen for her. Over the course of a week, the naïve and dreamy girl finds herself quickly betrothed and married, and is soon living in Brooklyn. 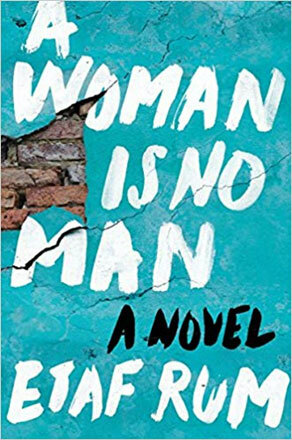 There Isra struggles to adapt to the expectations of her oppressive mother-in-law Fareeda and strange new husband Adam, a pressure that intensifies as she begins to have children. Brooklyn, 2008, Eighteen-year-old Deya, Isra’s oldest daughter, must meet with potential husbands at her grandmother Fareeda’s insistence, though her only desire is to go to college. Deya can’t help but wonder if her options would have been different had her parents survived the car crash that killed them when Deya was only eight. Her grandmother is firm on the matter. But fate has a will of its own, and soon Deya will find herself on an unexpected path that leads her to shocking truths about her family. Check out this book and more in the Popular Reading Collection!